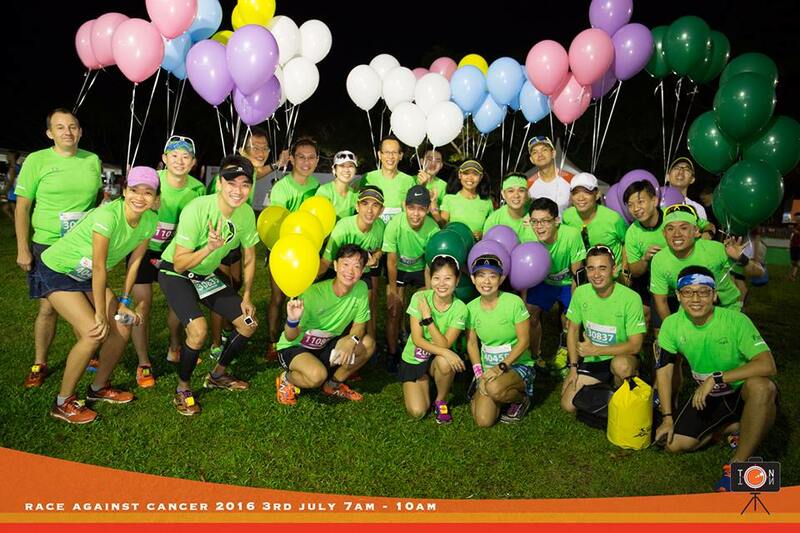 Race Review: Race Against Cancer 2016 [15 Km] (by KenJoe) | JustRunLah! 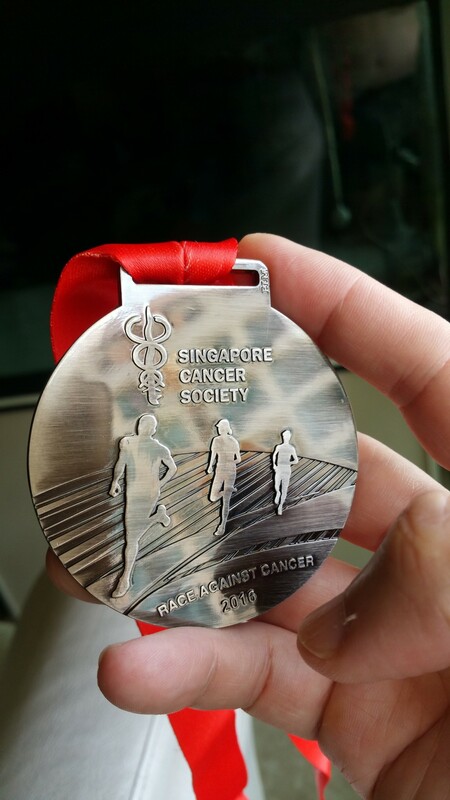 After the Performance Series II at Jurong Lake I was signed up my 14th race of this year, the Singtel-Singapore Cancer Society Race Against Cancer (RAC). 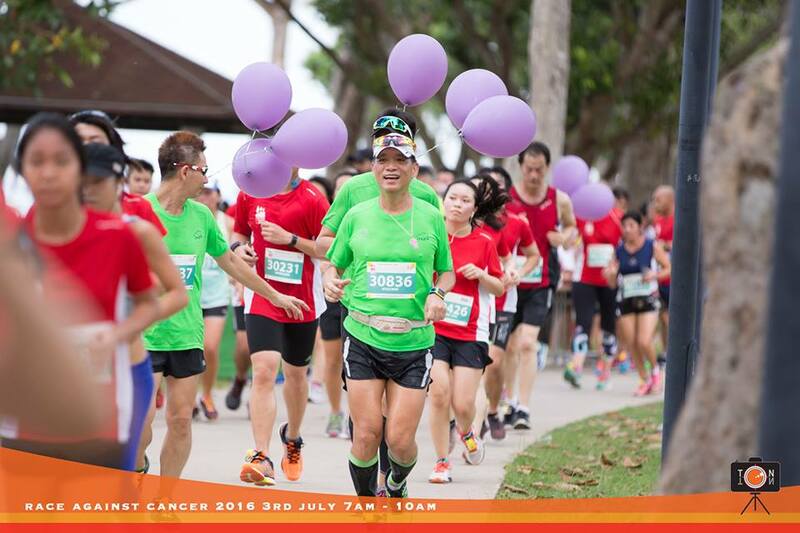 The event held at Angsana Green (East Coast Park) was in its 8th year, consisting of 5, 10 and 15 km races. 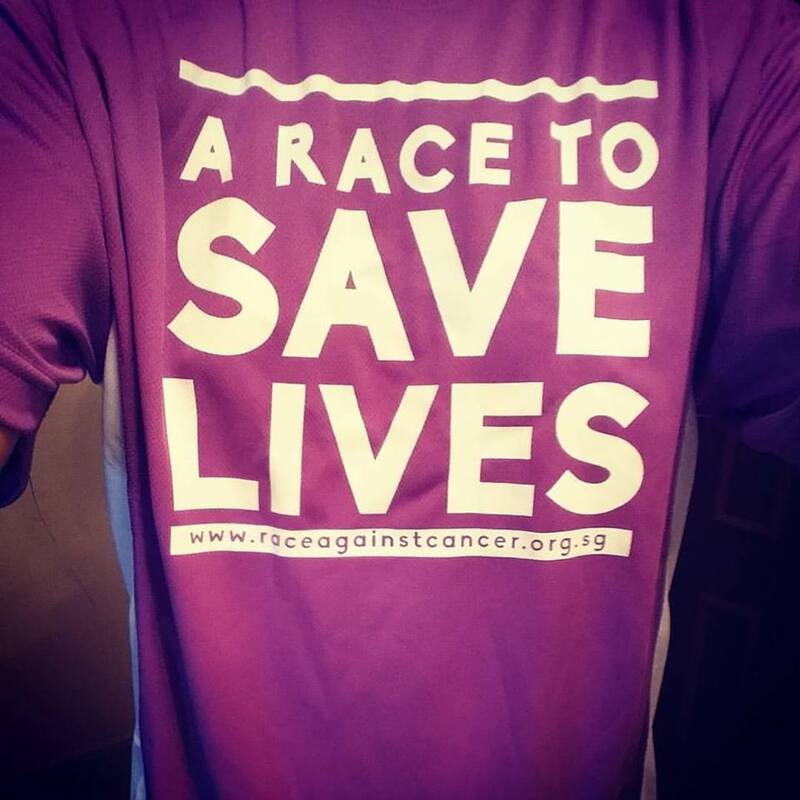 RAC is a race to save lives, aiming to raise funds for cancer treatment subsidies, welfare assistance, cancer rehabilitation, hospice care, free cancer screenings, research and public education initiatives. I reached Angsana Green early. 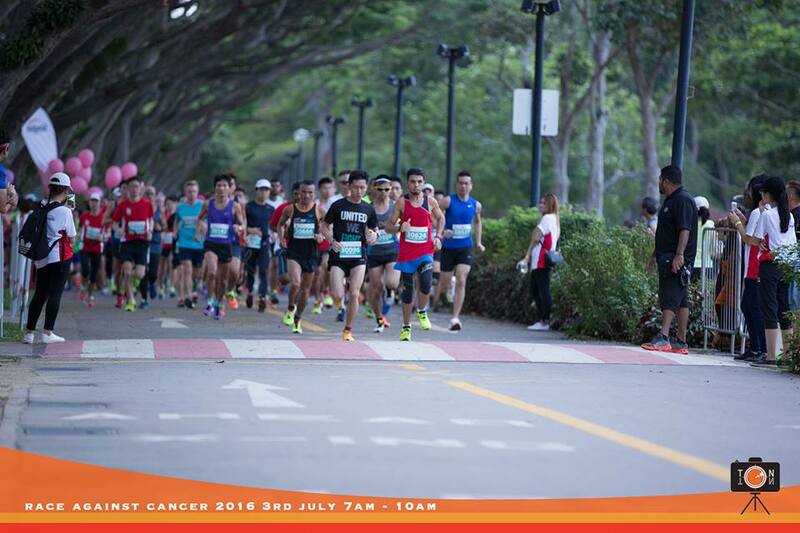 The race started a couple of minutes after 7.15 am. I was in wave 1. 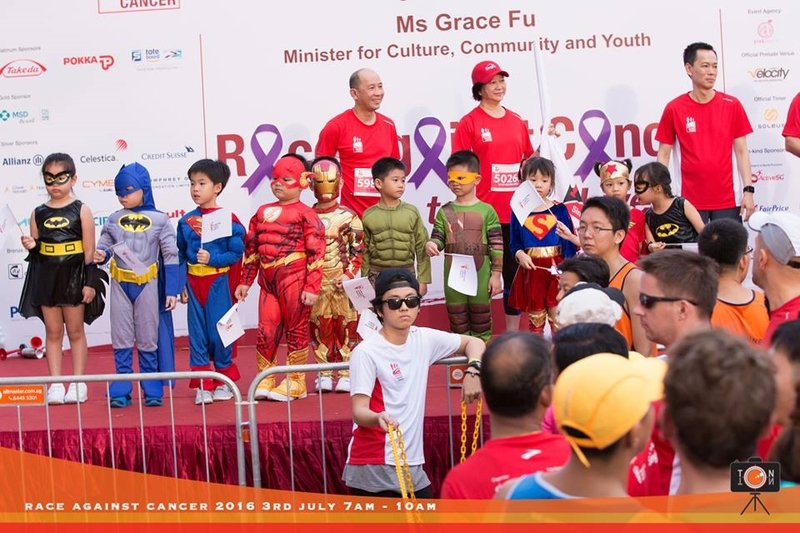 Minister Grace Fu again graced the occasion (as in previous week’s) but this time round she didn’t join in the race. Some little superheroes were also on stage to start off the wave. 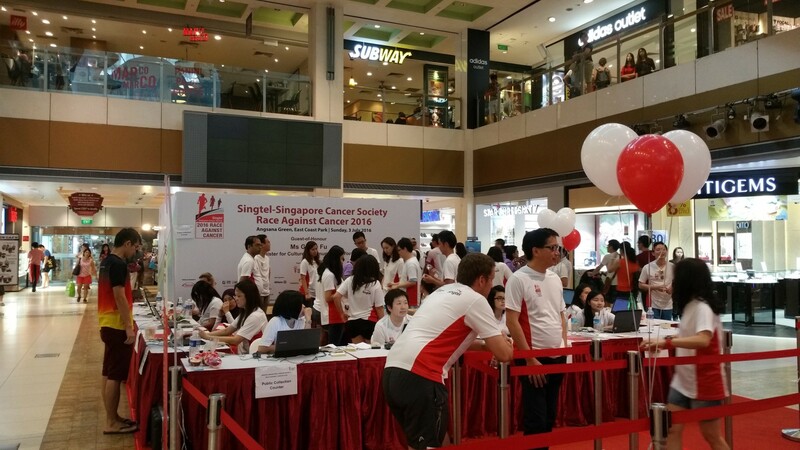 The route was straight forward and volunteers were enthusiastic. There was only a minor mishap when a cyclist rode fast into the wave of runners from the opposite direction, tyres screeching to a halt. I was close by and like others paused to check and then carried on when we saw no one was hurt. 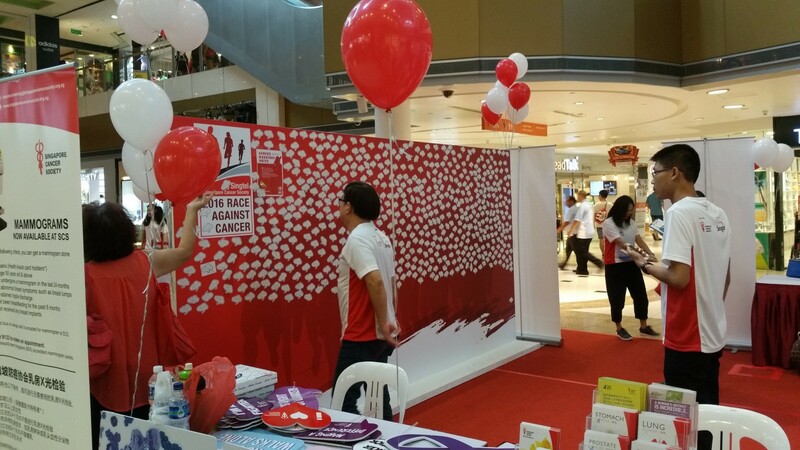 Hydration points were spaced about 2 km apart and both water and energy drinks were provided. I stopped only at a couple of them, trying to test my limits in hydration frequency. 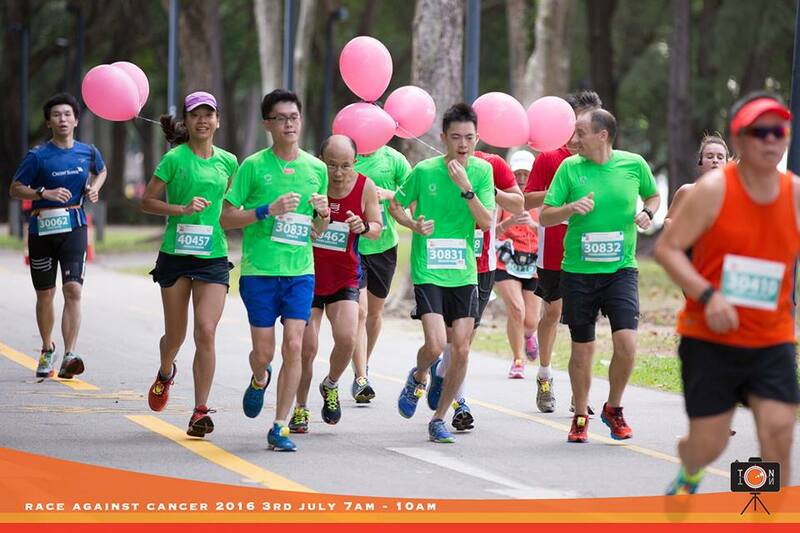 I did consume an energy gel at mid point as I knew I would be running for more than an hour under the hot weather. The weather was hot but everyone in first wave was fairly energetic. 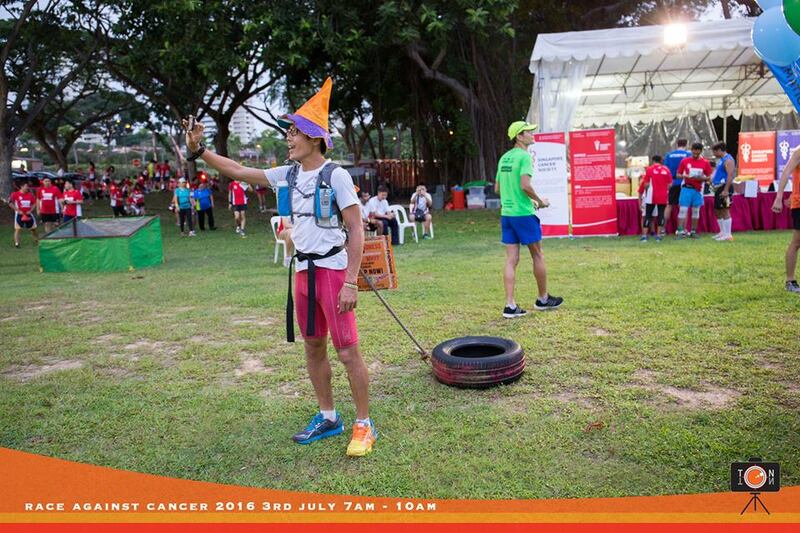 But probably none beat Ah Siao (Gerrard Lin) who was running again with his tire. 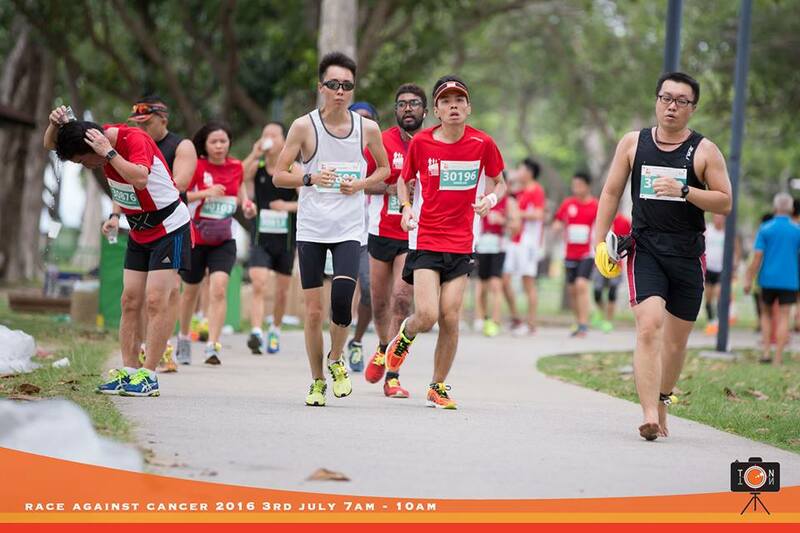 I didn’t experience any pain in my feet during the run itself. 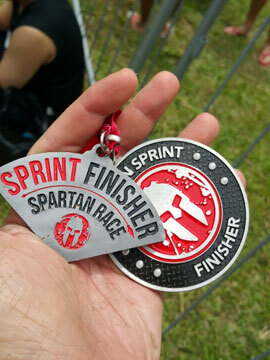 The condition of Plantar Fasciitis still haunted me as I woke up with slightly more pain this morning (day after), but pain was manageable still. 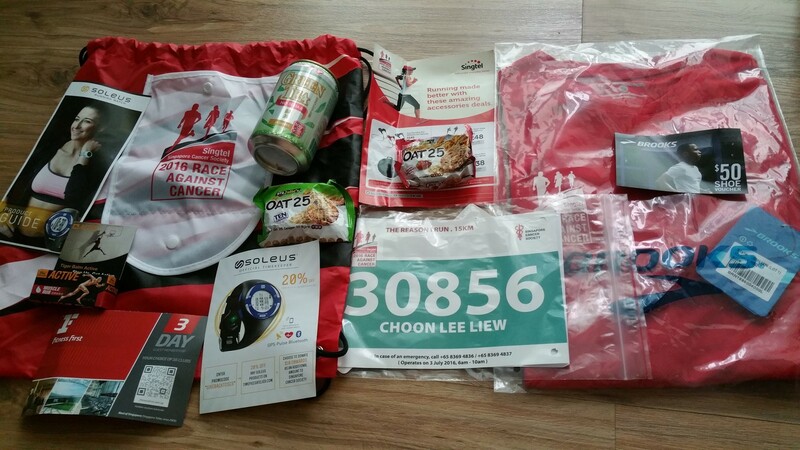 At finishing point, the finisher medal was given with a friendship bracelet made by patients/friends, water, energy drink and Yakult too. 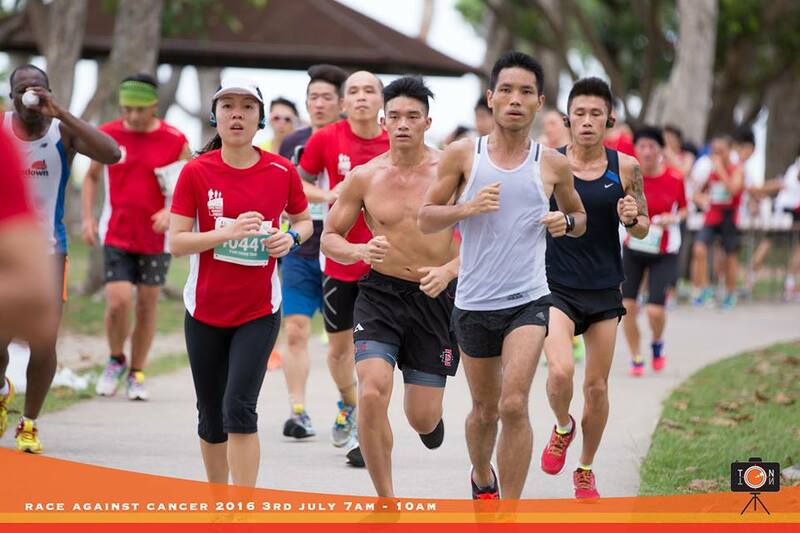 Race results were released early this morning, and I was pleasantly surprised that I achieved my PB in 15 km this round (1:50:28), beating last year’s by about 10 minutes. 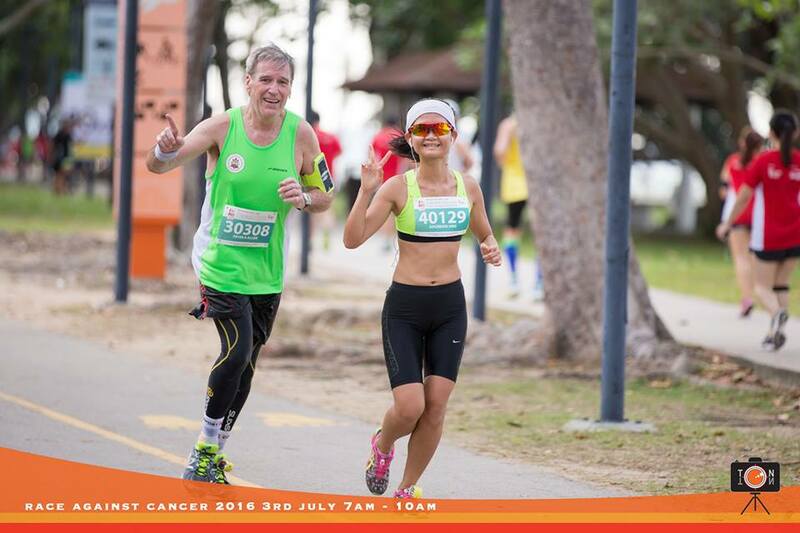 This was not fast by any standards but encouraging for an amateur ‘old’ runner. Photo Credits are due to Tony Ton Ton Fun Shots for the nice race photos. 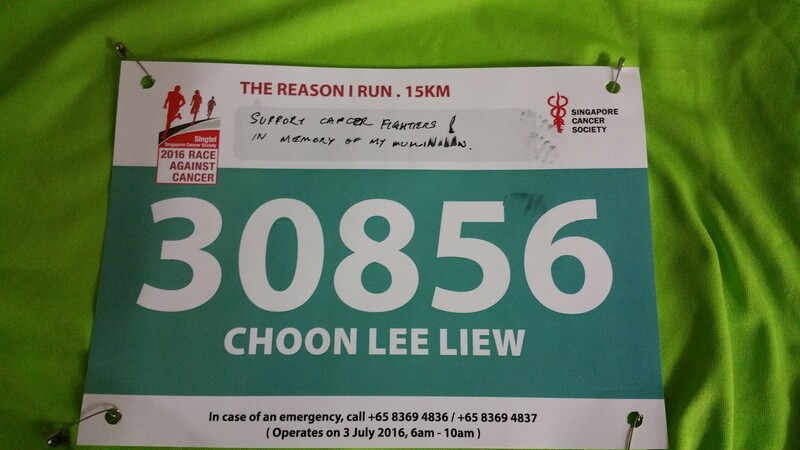 Dear Choon Lee, Ms Grace Fu did join the 5km race, and she was awesomely fast! Oops, I apologized for mistakenly thinking she didn’t join in. 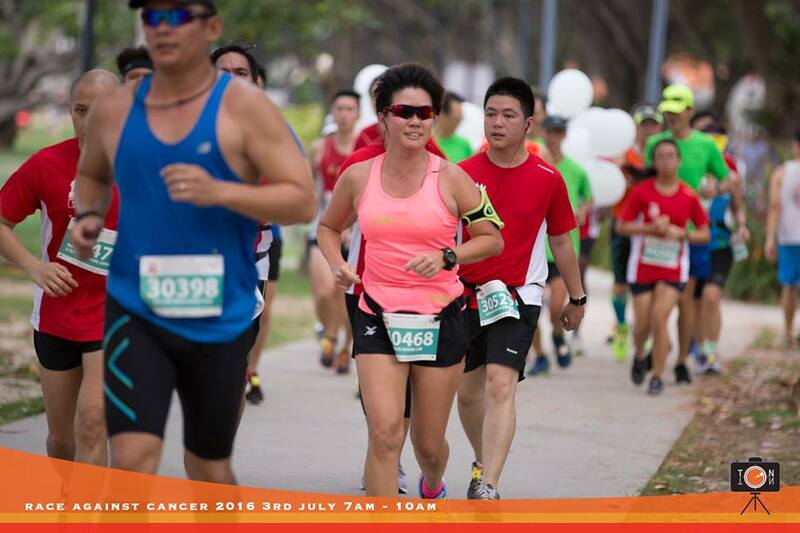 She’s incredibly fast runner even in the 10 km. Thanks for pointing out the mistake. My apologies for the mistake.